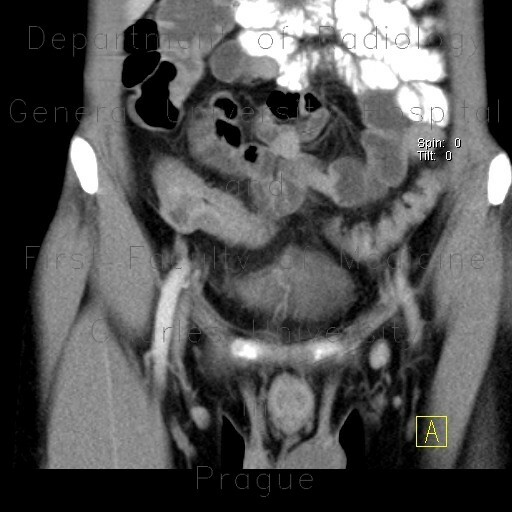 Thickened wall of neoterminal ileum (post ileocecal resection) with adjacent infiltrate around a small abscess. The infiltrate abutts the bladder wall, which is thickened. Vasa recta are slightly prominent. There are signs of overgrowth of meseterial fat indicating chronic course of the disease.